"Dallas Arts District Development & Its Impact"
The Dallas Arts District is the largest contiguous urban arts district in the nation and it is right in the heart of Downtown and Uptown Dallas. Does its location impact commercial real estate? Most definitely. 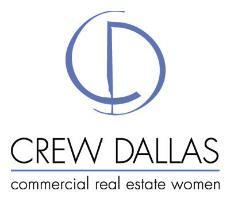 We gathered three CRE experts; Stream Realty Partners’ Sara Terry, Hall Group’s Kim Butler and Billingsley Company’s Marijke Lantz, to team up with Dallas Arts District Executive Director Lily Cabutu Weiss to discuss how new development and renovations within the Arts District are impacting the market at our February industry luncheon at the Trammell Crow Center. Does this unique amenity drive demand, and how is it impacting rental rates and absorption? Moderated by Locke Lord’s Vicky Gunning, this is going to be an enlightening event in the heart of the Arts District.